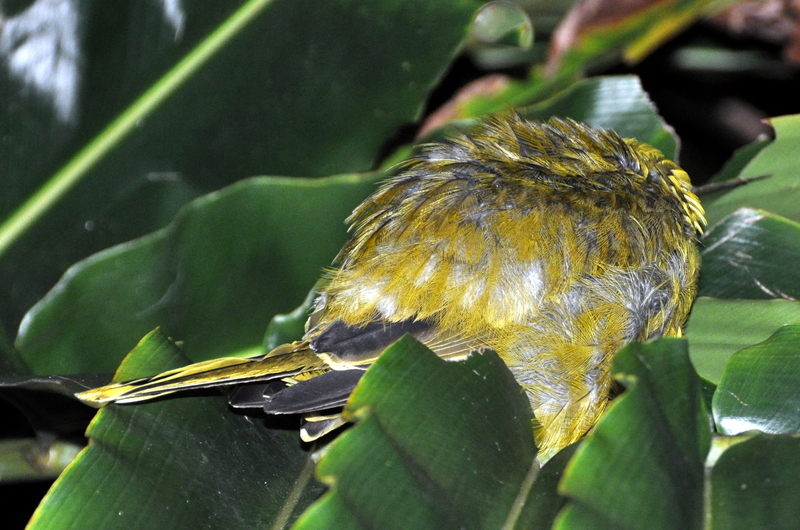 This entry was posted in Bird Observations, Frogs and tagged frog species, Litoria junggay, rainforest frogs, Stoney Creek frogs, wet tropics, Yellow Oriole. Bookmark the permalink. Thanks for the images, Barbara, and for contributing to Snail’s discussion. 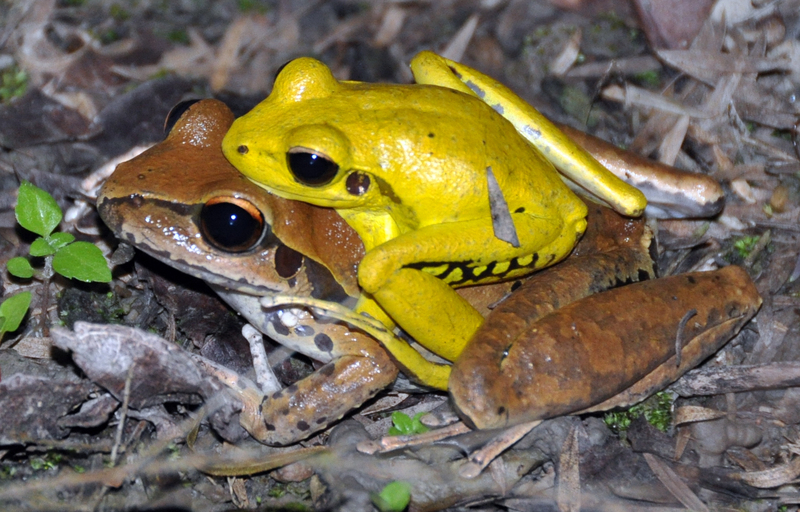 Frogs are either very confusing, or the taxonomists are hopelessly confused, or both. 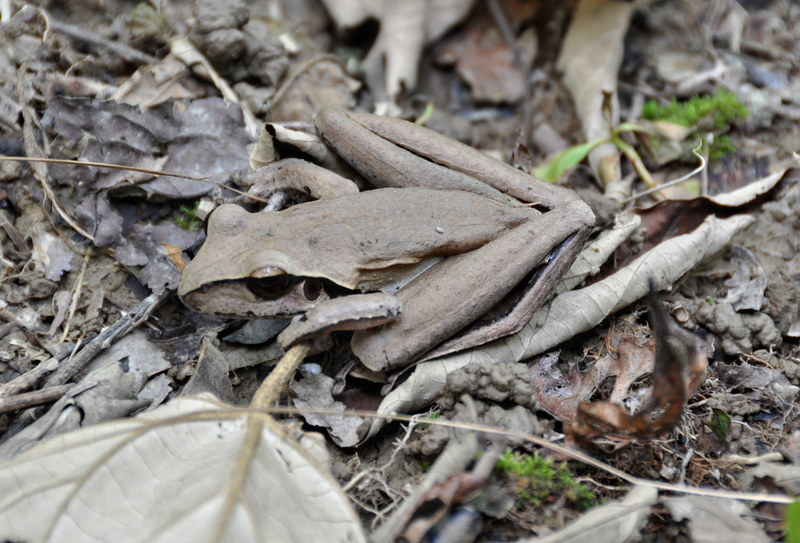 I have posted about a tiny Tree Frog I found which “matched” (as closely as I could tell) the ID of Littoral lesueuri. But my frog was tiny. And in a back yard, not near a running stream. Not was it capable of making an impression on any brick. It would cover a reasonable sized pebble, certainly not a rock, let alone a brick. See my post on 4 April 2010. Thanks for the post, especially with the froggy photos. Barbara, I’m sticking with L. jungguy until someone provides a way of identifying the little leapers in the wild! I still haven’t seen males around here — these pictures are terrific. These frogs are really confusing, Denis! Judging from the map I’ve got here, your neck of the woods appears to be in the general area where L. lesueuri and L. wilcoxi meet along the edge of the ranges. In that paper I referenced, their northernmost specimen of L. lesueuri was Glenbrook Creek and the southermost of L. wilcoxii around Georges River and Douglas Park. 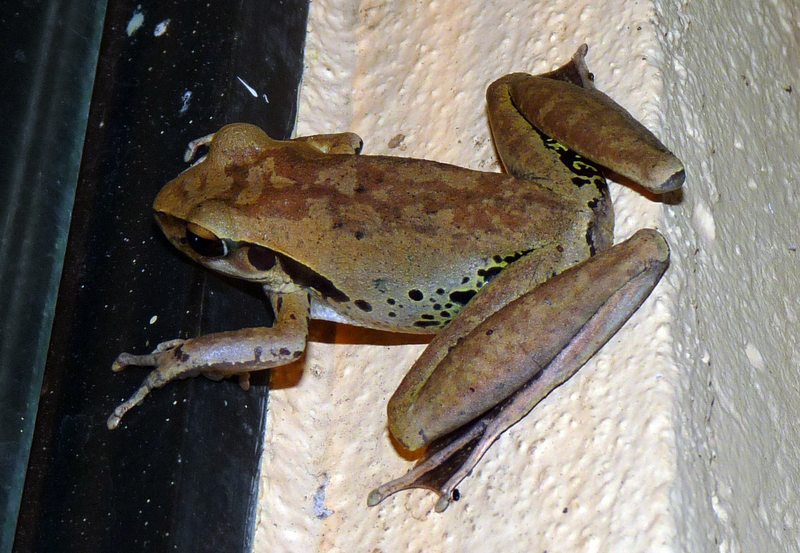 Apparently, if an adult frog has blue spots on the posterior of the thigh, it is definitely L. lesueuri. But that doesn’t apply to juveniles and metamorphs. And not all adult L. lesueuri have the spots. So not a lot of help. Well I agree these frogs are very confusing.